Any woman who has naturally curly hair has struggled at one point or another when attempting to “tame” their lovely locks. We know this unhappiness first hand and have suffered through some seriously bad hair days. It’s funny how we’ve wished for naturally straight hair, and how others have wanted our naturally curly hair … perhaps believing that curly hair is a “wash-n-go” deal. So completely untrue. It’s a year-round battle to keep those spirals looking tame. 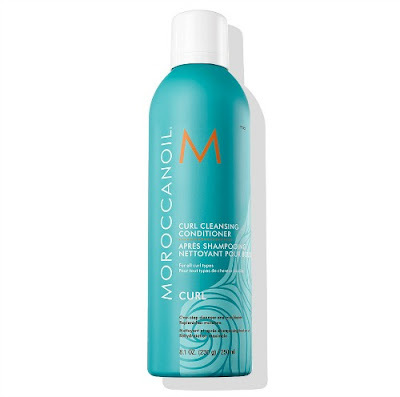 We have however finally found a real answer to our curly-girl hair issues with Moroccanoil’s latest line of products -- specifically made for us! No-Fuss Oil Infused Curl Care that seriously uncomplicated curls! Moroccanoil’s specialized assortment of curl care and styling products provide simplified solutions for curls of all shapes and sizes. As the leader in oil-infused beauty, all Moroccanoil products contain antioxidant-rich argan oil: a nourishing ingredient that breathes new life into dry, brittle and fragile curls. Our innovative oil-infused formulas promote control, shine and movement to keep your curls deeply hydrated, defined and frizz-free. Read on about these Must-Have products and check out the infographic that gives how-tos about its newest line. 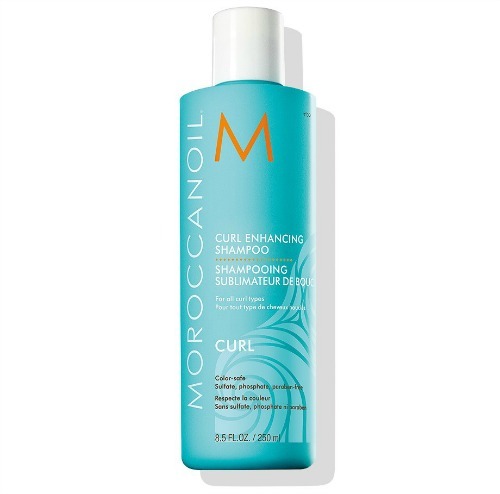 Moroccanoil Curl Enhancing Shampoo ($28) is a curl-boosting shampoo with nourishing argan oil to restore elasticity, shine and manageability. Moroccanoil Curl Enhancing Shampoo gently cleanses to reveal noticeably soft and smooth curls that are full of definition and free of unwanted frizz. A blend of hydrolyzed vegetable protein and Abyssinian oil strengthens and protects, for weightless curls that look and feel healthy with bounce and movement. 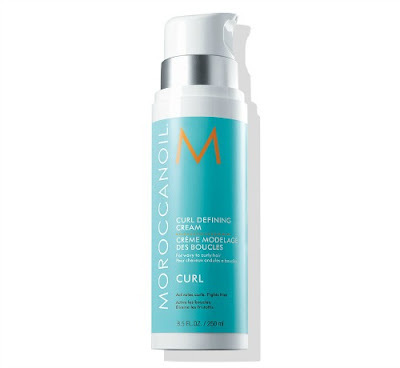 Moroccanoil Curl Enhancing Conditioner ($29) is a curl-boosting conditioner with nourishing argan oil to restore elasticity, shine and manageability. Moroccanoil Curl Enhancing Conditioner gently detangles to reveal noticeably soft and smooth curls that are full of definition and free of unwanted frizz. A blend of hydrolyzed vegetable protein and Abyssinian oil strengthens and protects, for weightless curls that look and feel healthy with bounce and movement. Moroccanoil Curl Cleansing Conditioner ($32) is a no-lather, one-step shampoo and conditioner with natural tea tree oil that gently cleanses and conditions hair while nourishing. 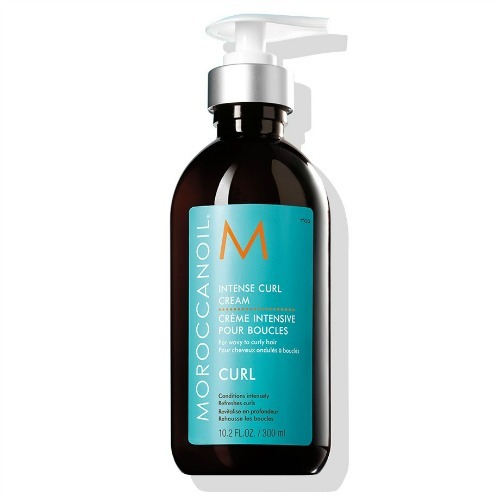 Moroccanoil Curl Cleansing Conditioner features an argan oil-infused formula to effectively cleanse while detangling and intensely conditioning to maintain integrity of curly hair and restore suppleness and bounce. Vegetable proteins and other natural oils leave hair shiny, smooth and soft while fighting against frizz. 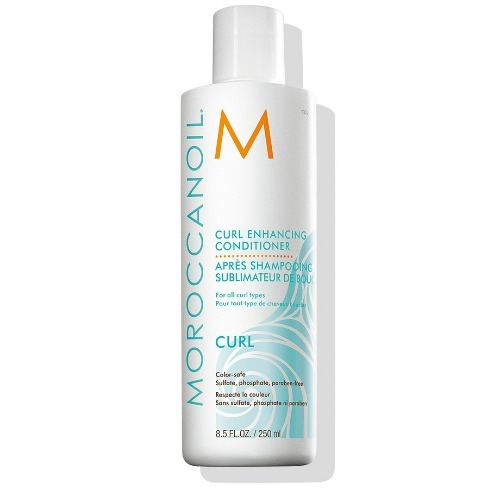 Moroccanoil Intense Curl Cream ($34) makes curls and wave look shiny, shapely and beautifully refreshed. 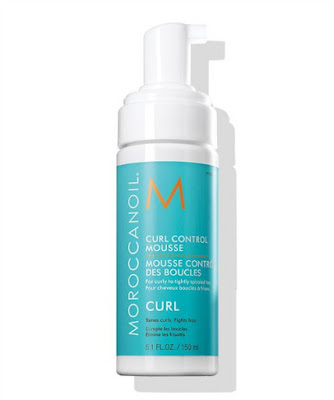 Moroccanoil Intense Curl Cream is a leave-in conditioner that moisturizes and fights stubborn frizz without stickiness. Infused with nourishing argan oil and vitamins to keep wavy and curly hair looking hydrated and touchably soft all day. Moroccanoil Curl Defining Cream ($34) helps easily activate and define curls while hydrating hair. Moroccanoil Curl Defining Cream is one of the brand’s most popular products for curly hair and Team TME can definitely attest to the efficacy! This argan oil-infused curl definer features an advanced heat-activated technology that provides a curl memory factor to fight frizz and create well-defined, natural-looking, bouncy curls that last. 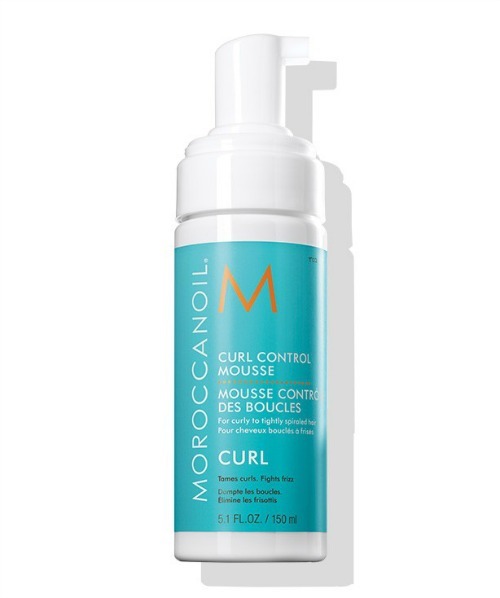 Moroccanoil Curl Control Mousse ($23) tames, defines and provides hold for hours, sealing in moisture and preventing frizzy hair in any weather. Lightweight yet powerful formula infused with argan oil provides soft, smooth hair with a natural texture and no sticky residue. 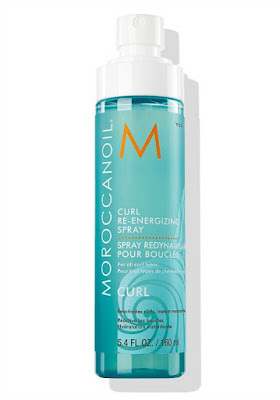 Moroccanoil Curl Re-energizing Spray ($26) is the holy grail of products in this line! It is a curl refresher infused with nourishing argan oil, green tea and aloe leaf juice that puts bounce and vitality back into your style, whenever curls are in need of a boost. 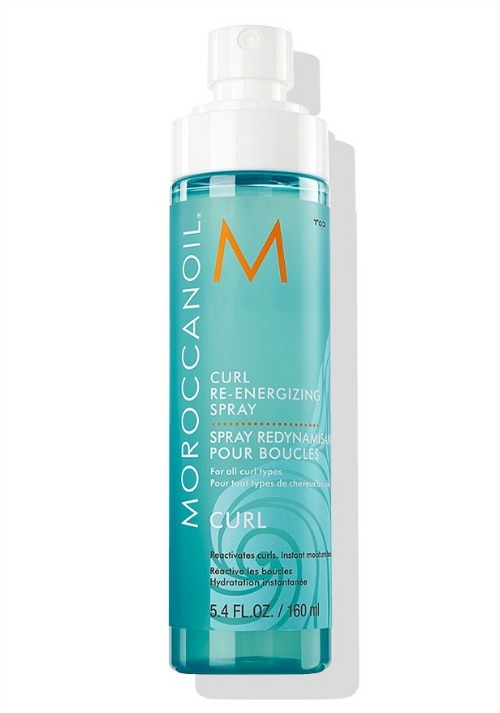 Moroccanoil Curl Re-energizing Spray is perfect for slept-on or end-of-day curls: this weightless reactivating mist refreshes curls to bring back shape and bounce, with an instant boost of moisture for added smoothness, shine and definition. All products from the Moroccanoil Curl line are available online at Moroccanoil and select spa locations around the globe!